Fall is about more than football in your student ministry. I know it’s Friday and more than likely there are football games in your hometown tonight. I also know that there’s a good chance you are heading to one (or a couple) of those games because it gives you the opportunity to connect with students and their parents all at the same event. These are things you should be doing, but you can’t let your own sports bias or the hype surrounding football in your town to cause you to miss the many students in your ministry that have nothing to do with the Friday night football atmosphere. 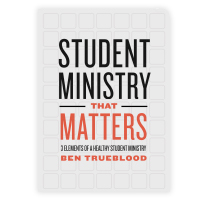 I’ve served with people who’ve had the view that student ministry was all about reaching the most popular students, which for our town surrounded around athletes, and specifically football. The thought was “if I can just reach the star athletes then they will bring everyone else with them.” Does that sound familiar? Maybe that’s your view or the view of someone that you work with at the moment. At the onset it sounds like a decent growth strategy. It still involves reaching people and it involves reaching “influencers” in your community. This type of view could be justified if you put enough thought into it. Here’s a problem: it leaves out an entire group of students who don’t care about popularity, athletics, or even those athletes. 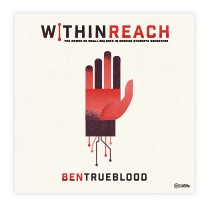 How are you going to reach them? This ministry view assumes that only popular kids and athletes can make a difference for the Lord. That couldn’t be further from the truth. In fact, God’s entire plan of redemption and the larger testimony of scripture as we interact with people that God chooses to use goes against this very thought. As a final anecdotal observation, I’ve yet to personally see or hear a student pastor articulate that this strategy actually worked in reaching those “influencers” and those “influencers” actually turned into evangelists and students who brought droves of students with them each week to the student ministry. Take advantage of the opportunity that Friday night football is to connect with your community, but make sure you speak to families and students from the other activities involved. The band, color guard, dance team, and cheerleaders are all important parts of the Friday night experience. Consider serving in the snack stand. You will by far see more families in that opportunity than you ever would by painting your face and standing in the student section. Try to avoid listing activities during your sermon illustrations. Chances are you will always name some and always forget others. Don’t allow a simple mistake to put in the minds of your students that you only care about certain activities. 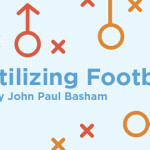 Show your intellectual prowess by talking about more than football throughout the fall season. It’s exciting, I know, but you can talk about other things. You could also become a Razorback football fan which will give you a lot less to talk about each week and force you into branching out. Attend other events that take place during this season: swim meets, plays, choir concerts… you get the idea. Remember that as a student pastor your involvement is not for the activities or entertainment but for the students and families that are involved. Look for opportunities to connect with the students who aren’t involved in any activities whatsoever. Many times it is this group of students that will fall through the cracks because, honestly, most student pastors just don’t know how to identify with them. In this case, spend time developing relationships and trying to find out what they are interested in. Another suggestion is to find an adult volunteer that has similar interests to this group of students and equip them to minister to them. Your student ministry should be about more than football, and it should be about more than reaching just the athletic or popular. 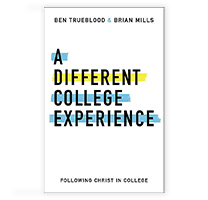 The main idea here isn’t just football, but an overall view of student ministry that looks to reach and disciple students regardless of their interests, talents, or supposed level of influence. All of your students are different and as a result they will be reached differently and discipled differently. When we just focus on one “demographic” of students we miss the blessing of discipleship opportunities that exist at every turn.